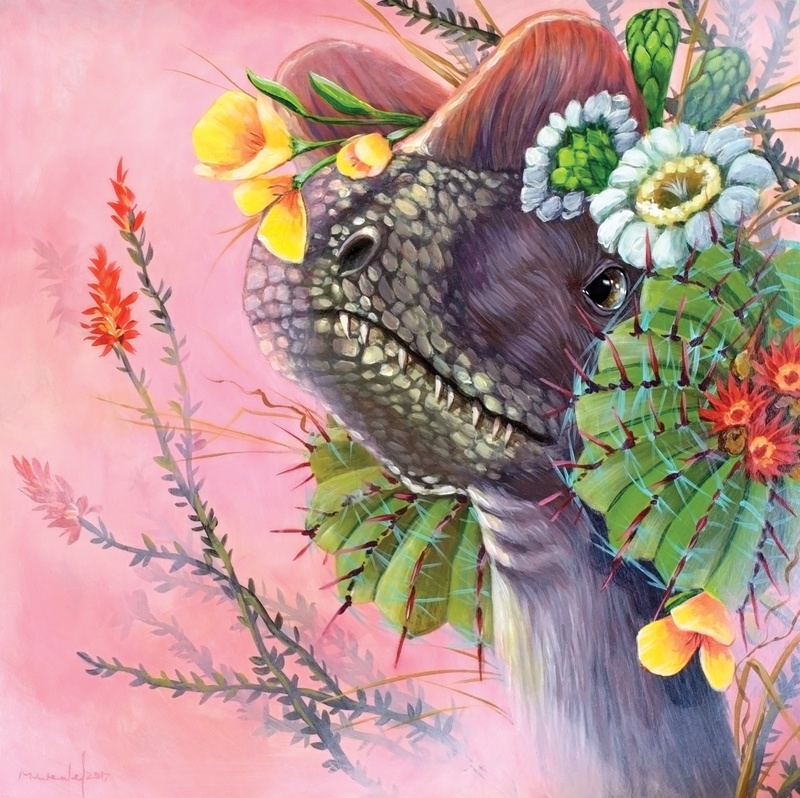 This Dino's skeleton was found in Arizona, so naturally she is covered in a crown of native Arizonian plants including Candy barrel cacti, Saguaro Blossoms, Arizona Poppy, and Ocotillo. Unfortunately Dilophosaurus didn't have an expandable neck frill as seen in Jurassic Park. But they were believed to be covered in plush feathers. Painting has been my life for over 18 years and I have been living in Austin for 7. My favorite subjects to paint are portraits of people and animals. In the series “Dino Queens” I explored and celebrated science by creating colorful and romantic dinosaur paintings. The flowers in each painting are from the areas the dinosaurs were first discovered. When I’m not painting I love swing dancing, riding my horse, Windy, and making things like puppets and costumes.